The IVE Programme encourages a culture of intellectual expansion through a programme of innovative and visionary lectures and original research projects which embodies the principles of academic endeavour. The IVE Programme also provides a link to the original spirit of the Langton Girls’ Grammar School and the symbol of the ivy leaf which the girls used to wear to Commemoration in the nineteenth century. It aims to facilitate and underpin the three C’s that universities and employers value in an ever-competitive market: curiosity, confidence and capability. Cherish these natural wonders, cherish the natural resources, cherish the history and romance as a sacred heritage, for your children and your children's children. The Historic Environment, including Industrial, Maritime, and Transport environments. Research Theme One: Has the centenary of the First World War facilitated a change in the public conservation of the memory of the First World War? Research Theme Two: Has the memory of twentieth century conflict been conserved in local, national and international perspectives? Research Theme Three: Can individuality be conserved in the era of post-truth? Research Theme Four: Is the historical memory selective in choosing women deemed worthy of conservation? Research Theme Five: Why should we fight to conserve our ecological present and our anthropological past? 30th November –To what extent is food security addressing global inequalities such as poverty, starvation and disease? (Mrs S Bennett) Please note that this may have to be rescheduled to 11th January 2019. Details to follow. 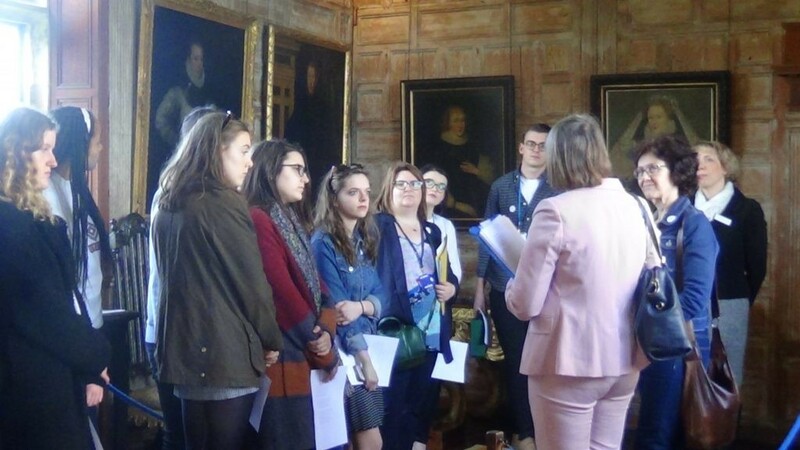 In 2018, Year 12 sixth form students were given the exciting opportunity to work alongside Professor Alison Findlay, Chair of the British Shakespeare Association, in her ground-breaking research into Lady Mary Wroth’s Love’s Victory. ‘Participating in a ground-breaking research project dedicated to Lady Mary Wroth’s Love’s Victory has allowed me to explore a female contemporary of Shakespeare and to participate in play readings and enabled me to undergo my own research into how women during the time were able to speak out against patriarchal influence through literature. It has opened my mind to the time period’s ideas and language and Wroth’s own struggles of being a female writer in an androcentric world. I have learned from Professor Alison Findlay who runs the project and have been able to discuss the poetry and lyrics of Wroth with an academic figure’.